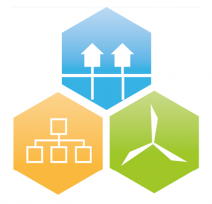 The 4DH Network is an open international network for research and innovation within the design of future 4th Generation District Heating and Cooling Systems and Technologies. A new generation of district heating systems and technologies are required to fulfil such role in a suitable way. The purpose of the network is to provide a forum for collaboration and exchange of ideas in the further development of research and innovation within the topic. The network is an outcome of the 4DH research centre which was supported by the Danish Innovationfund in 2012-2018. The center involved more than 30 partners from industry and academia. The 4DH network is open for any partner (industry or academia) who find the purpose and collaboration relevant. You can join by signing up at this homepage. The network is operated by the Sustainable Energy Research group at Aalborg University. If you register as a company or institution you will need to identify a contact person in the company / institution. Commit to updating contact details yourself (We may delete contacts with “dead” emails etc.). You can add more users to our newsletter. Use comma separated values. By registering you accept that the 4DH website collects and stores the data submitted through this form.